I saw a lot of very interesting chess games today. 1. Keith is black in the above position and lost after his opponent played 7. Bxf7+ Kxf7 8. Ng5 Ke7 9. Qxg4. What did he miss? 2. Yuxin was on the black side of this Panov, and her opponent just played 9. c5. 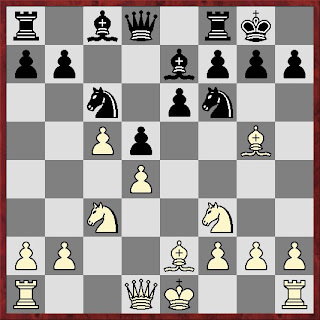 What are some ideas for black in this position (and in general in panov positions where they play c4-c5)? 3. Anita was white here. Find an idea for her. 4. Jacob can take one b7 in three different ways. Which way is best? 5. In the above position, Edeli blundered with 5... Bf5. 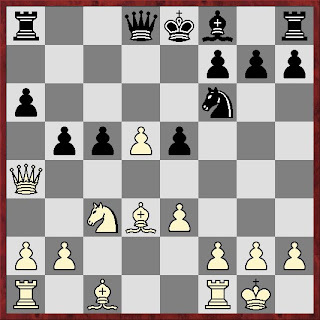 What's wrong with this natural-looking developing move? 6. Kevin was black in this caro kann and he's just played 5... h6, which prompted his opponent to sac on f7--6.Nxf7. Is Kevin in trouble, or is the sac just bad? 7. Tristan has just played 9. Qa4+. Black has five ways to block. Rank them from best to worst. 8. Later in the same game, a second Qa4 check was blocked with 13...b5. How should white respond? 1. Keith missed that after 8. Ng5, he can just take the knight: 8... Qxg5, since 9. Nxg5 allows 9... Bxd1 and black ends up ahead a piece for a pawn (the bishop that white incorrectly sacked on f7). 2. In some lines (usually the 5.. Nc6 lines), c4-c5 can be dangerous, especially when white can support it with b2-b4. Yuxin played 9... b6, which makes a lot of sense, trying to break down white's pawn structure and space advantage. 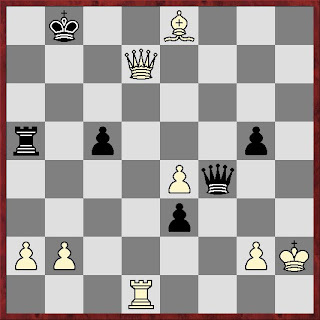 Another great idea to know for black is Nf6-e4. The point is if 9...Ne4 10. Nxe4 dxe4 11. 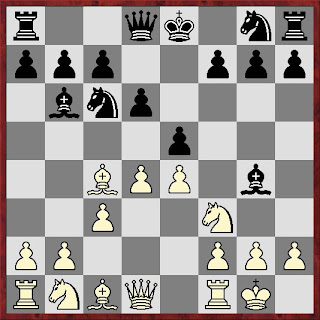 Bxe7 Qxe7, that the Nf3 has to move and Rfd8 is coming and black will win white's d pawn. 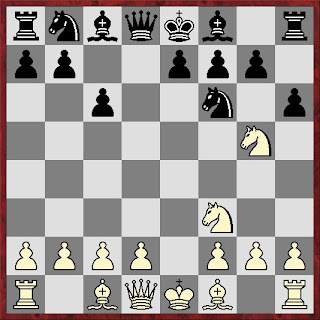 If white doesn't take, then black just has a nice centralized knight. 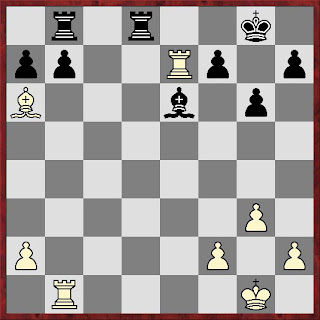 Playing e6-e5 is possible sometimes, but it's hard because it usualy hangs or seriously weakens d5. 3. 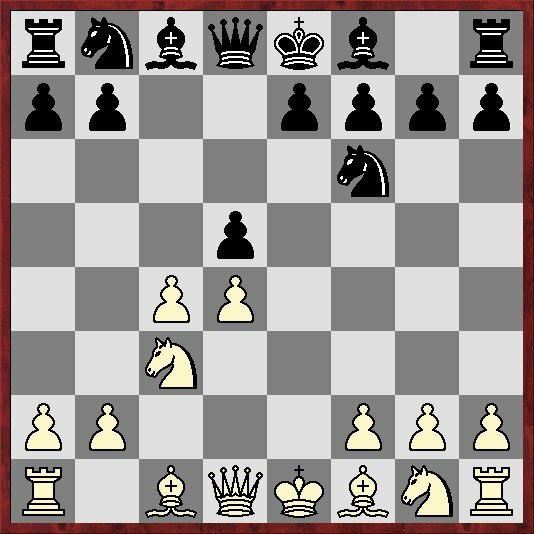 White can double rooks on the a file and win the a5 pawn. 4. 22.Rexb7 and 22. Bxb7 are both good moves, but Jacob unfortunately chose the one that lost: after 22. 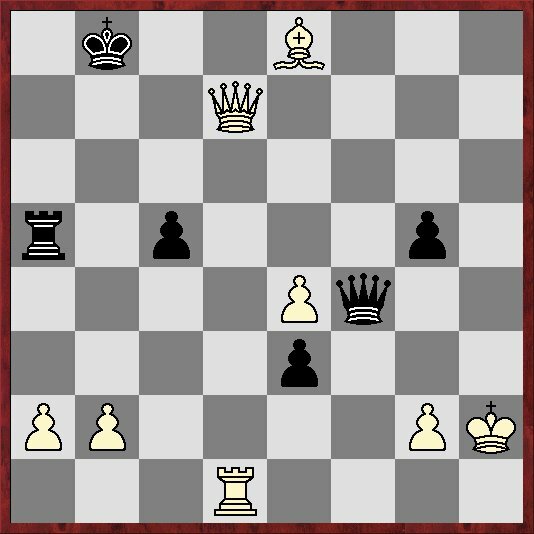 Rbxb7, black wins the exchange with 22... Rd1+ 23. Kg2 Bd5+. 5. 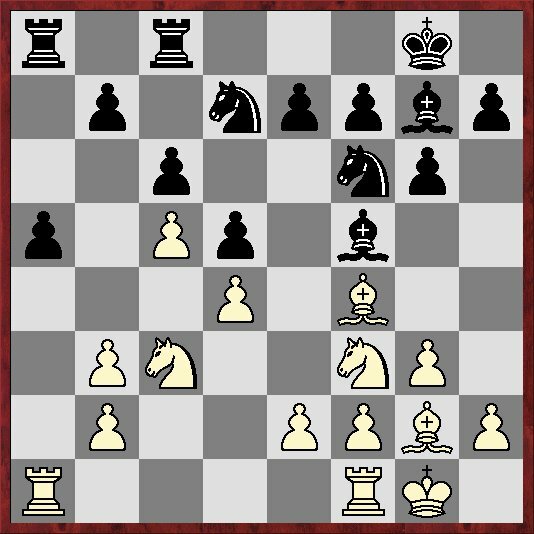 5... Bf5 undefends b7 and allows the double attack 6. Qb3, hitting d5 and b7. 6. I was worried when I saw Kevin's position because he normally remembers everything I've ever told him, so if he gets caught in an opening trap, it's probably my fault. But Nxf7 is nothing here, and Kevin kept his cool and defended well: 6... Kxf7 7. Bc4 e6 8. 0-0 Bd6 9. Re1 Re8. Kevin told me afterwards that he was worried more about the variation 7. Ng5 Kg8 8. Bc4+ e6 9. Ng6 Rh7 10. Bd3, but we agreed that after 10... Bd6, black is really just fine. 7. 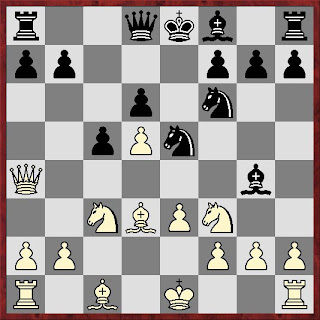 The worst is 9... Qd7, which loses the queen to 10. Bb5. 9... b5 is just sacking a pawn for no reason. Tristan's opponent played the bad move 9... Nfd7, which loses the bishop after 10. Nxe5 dxe5 11. Qxg4. 9... Bd7 gains a tempo on the queen and is therefore the best way to block. 8. 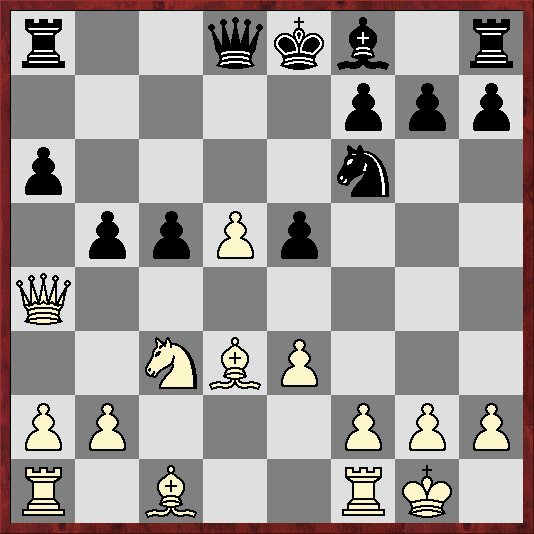 Tristan correctly took on b5 with the knight: 14. Nxb5 axb5 15. Bxb5 Nd7 16. Bxd7 Ke7 (16... Qxd7 17. Qxa8). 9. After 37. g3 Qf2 38. Kh3, black has no more checks and white is up a piece and completely winning. 37. Kg1 and 37. Kh1 both allow either perpetual check (Qh4-f2-h4-f2), or if white interposes with Qh3, allow black to play e3-e2-e1. Tragically, 37. Kh3 allowed 37... Qh4#. In other news, I have begun running again with the very inspiring NHS Couch to 5K running podcasts, designed to motivate couch potatos who hate running. They are very good--like having a super-positive mtoivational coach with an English accent. I've only just started, but I'm going to go 3 times a week before work with the dog. Also, the New York Times celebrates Greg's chess comeback, grouping him with Morosevich and Kamsky as "(among) the world's best players." I considered the line you give, but discarded it because of 14...Ke7 (instead of 14...Nd7), when White's queen is under attack and the d-pawn falls on the next move. 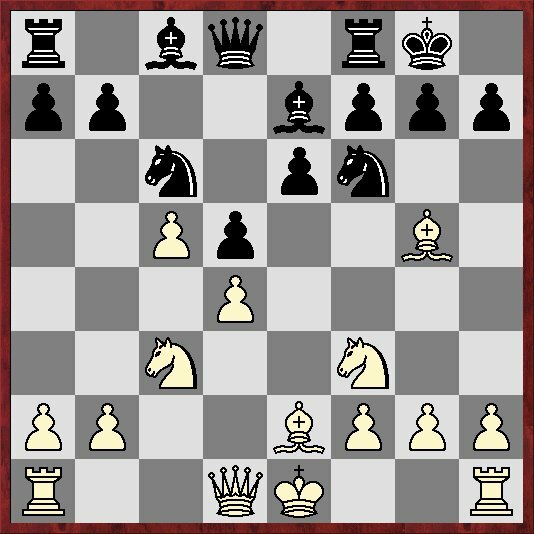 But perhaps after 15.Qc2, hitting the c-pawn and meeting 15...Qxd5 with 16.Rd1, Black is still in trouble. 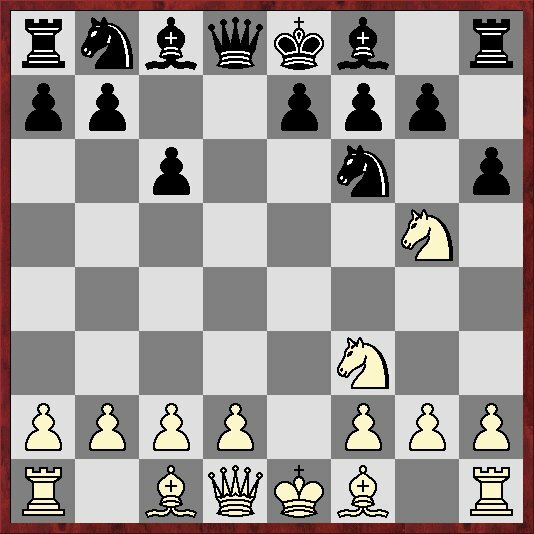 After, for instance, 15...Nxd5 16.Rd1 Nb5, White can just take the queen and then the rook in the corner. can we play 14... d6? Aha. That looks pretty devastating, since Black can't take back with the queen without hanging the rook (again). in number 8 14...Ke7 is obv more critical than ...Nd7 since Nd7 loves super instantly and Ke7 seems like white has to find a move or two. Like 15. d6 Kxd6 16. Rd1 Ke7 17. Rd8 Rxa4 etc etc, and probably white has something somewhere like Rxf8, but ok that's just at a quick glance, maybe there's something super obvious that I'm missing :) On the other hand I am one of the best in the world.